When it comes to making curtains, (or buying I suppose, but where’s the fun in that? ), accurate measurements are paramount. 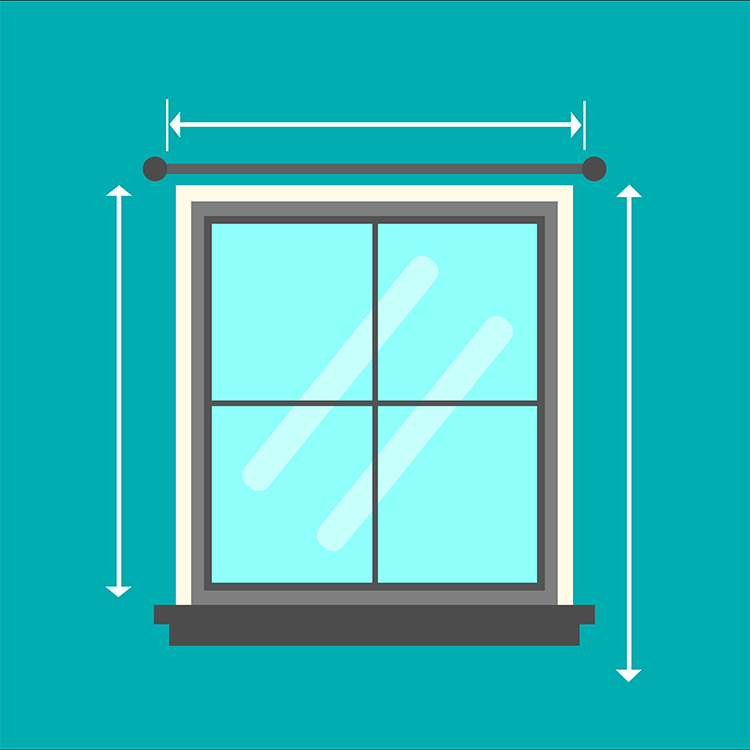 But even if for some reason you know the measurements of your windows by heart, there are more factors to take into account when figuring out the size of your curtains. Let’s go over some of the basics. Once you have your measurements, use our drapery yardage calculator to find out how much fabric to get. Take a look at our wide selection of drapery fabric, and don’t forget the drapery lining and other drapery supplies! Pro Tip: If you are adding or replacing a rod and its brackets, you get to decide exactly how you want the curtains to look. A trick designers often use is to mount the rod substantially higher than the window trim, even up to the ceiling. They also extend the rod well past the sides of the window. This way, your window looks much larger, and when open, the curtains can be pushed to the sides enough not to block the window. This also allows you to have fuller curtains. Most windows already have a track or rod above the window for hanging treatments. They usually reach a few inches beyond the window on both ends. Start by measuring the width of the rod or track from end to end. Tracks and rods stick out a few inches from the window, this distance is called the return. If you’re using a track to hang your curtain, it’s sometimes possible to wrap the curtain around to cover the return. If you want to do this, include the return on both sides in your measurements. Or with rods, you can attach an eye screw to the wall and add a drapery hook to the end of the curtain to hook it to the wall, which eliminates the gap. See our Inverted Box Pleat Curtains Tutorial for more about how to do this. Rods often have adornments called “finials” on the ends. If this is the case, don’t include the finials in your width measurement. Now that you have your width, you’ll need to determine how full you’d like it. If your curtain rod is 40 inches wide, you don’t want the finished curtains to be 40 inches wide. You want plenty of extra width so they look nice and full. Most curtains are 2 or 3 times the curtain rod width. How full you want it exactly is up to you but generally speaking the longer the curtains are, the more fullness they should have. Which brings us to the length measurement. Pro Tip: For floor length curtains, you may want to make the rest of the curtain before hemming it. This way you can hang it and pin the hem while it’s hanging to get the length just perfect! Start your length measurement at the curtain rod or track. Where to end the length measurement is up to you. Where do you want your curtain to fall? If you want a sill length curtain, measure down to about 1/2″ above the sill. You could also have it drop about 6 inches below the sill for a little more wall coverage. 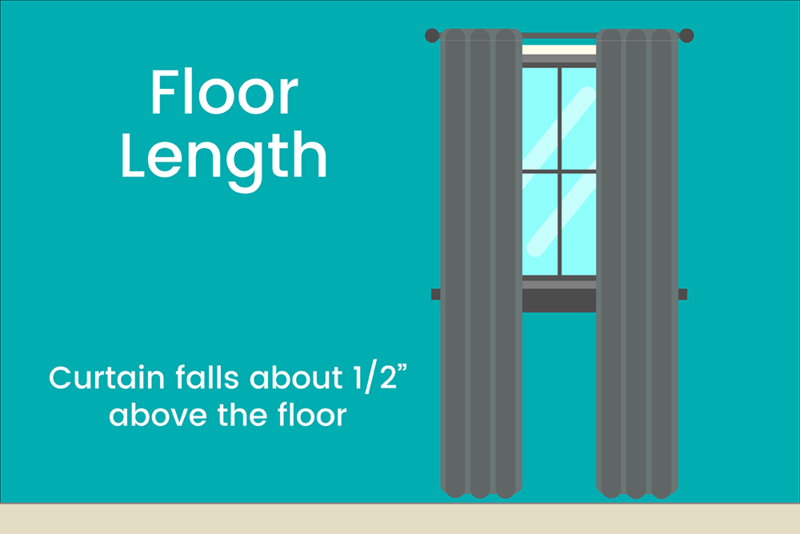 For a floor length curtain, measure down to about 1/2″ above the floor. Some curtains are meant to be even longer so they pool at the bottom. If you would like to do this, measure down to the floor and add a few inches. These are basic guidelines for common windows, but other factors may come into play. 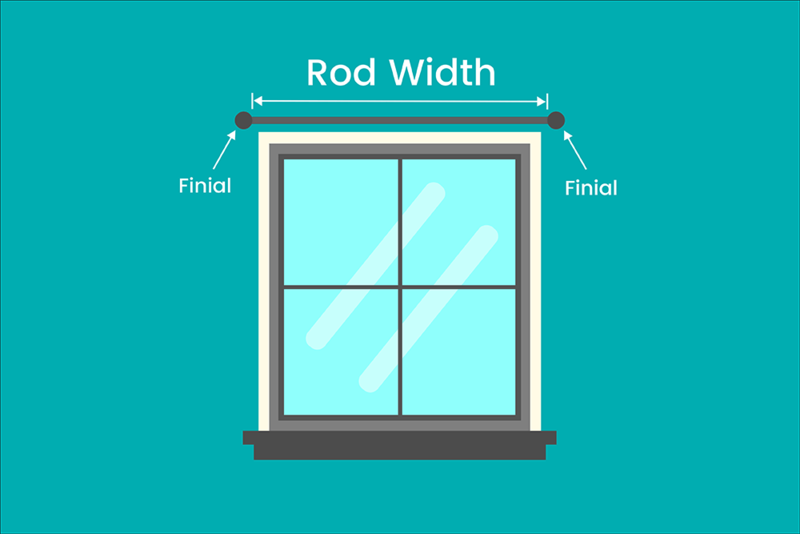 Most curtain rods are outside the window frame, but some windows (like kitchen sink windows) have tracks or rods inside the top of the frame. If this is the case, you probably won’t want the curtain width to be too full and you don’t the length to go below the window sill. Some curtain styles don’t hang directly on the curtain rod, but are attached to pieces that hang on the rod. For example, curtains with hooks will hook onto rings that slide over the curtain rod. If this is the style you’re going for, hang one of the rings onto the curtain rod and measure from where the curtain will be attached. If you’re making curtains, keep in mind that these measurements do not include seam allowances, headers, hems, etc. These need to be calculated and added afterwards, and will differ based on curtain type and personal taste. Our drapery yardage calculator will help you add in these factors. 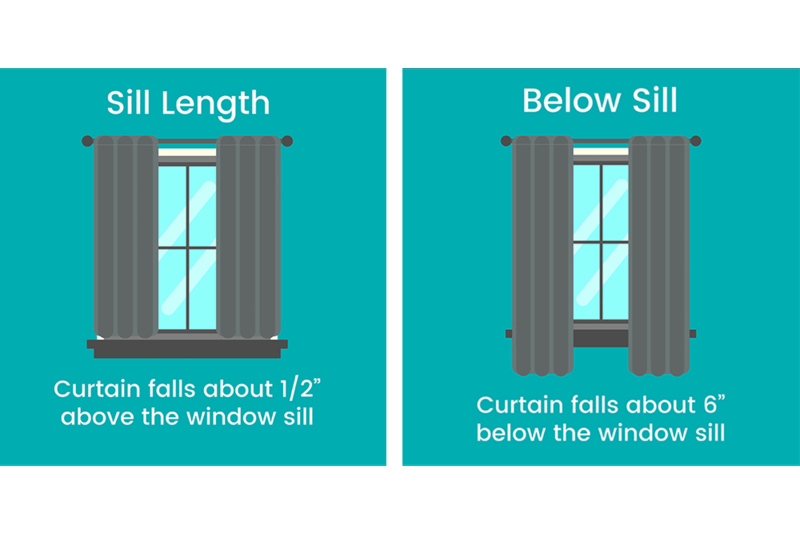 So now you know how to measure a window for curtain, time to check out our curtain tutorials to decide what style you want! Ready to buy fabric? Find out vast selection of drapery fabric here. I am looking for a "how to" for camper curtains? They have a slide tab. BEST ANSWER: We don't have a tutorial for that specifically, but you can make a panel like in several of our other curtain how to's and then sew on the glide tape. We'll consider doing this for a future tutorial, so thanks for the idea!